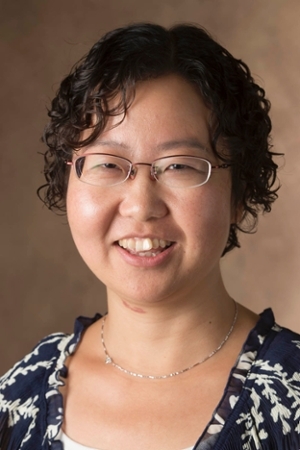 Southern Illinois University Edwardsville’s Dr. Huaibo Xin, assistant professor of kinesiology and health education, has been presented the Vaughnie Lindsay New Investigator Award for FY16. The award recognizes individual programs of research or creative activities at SIUE. Xin will receive a combined $12,500 from the SIUE Graduate School and School of Education, Health and Human Behavior to be used in a one-year period. The funding will support her research focused on using Community-Based Participatory Research (CBRP) and improving Bosnian refugees’ mental health through promoting physical activity. “I very much appreciate this opportunity,” Xin said. “Physical activity has been proven to be effective in improving the general population’s mental health. However, rarely have studies been conducted to improve refugees’ mental health through adopting culturally competent physical activity interventions. According to Xin, international refugee populations are highly susceptible to severe mental distress due to their pre-immigration, immigration and post-immigration traumas. Those traumas include war, famine, religious prosecution, exposure to violence and discrimination and social exclusion. Xin hopes her research will help reduce the severity of traumatic experiences among the vulnerable refugee population by preparing the next generation. Dr. Steve Hansen, Graduate School Dean Emeritus, established the Lindsay Research Professorship Endowment that funds the award in honor of Dr. Vaughnie Lindsay, who served as graduate dean from 1973 until 1986 and was responsible for creating much of the infrastructure that supports faculty research and scholarly activity. Faculty and the emeriti faculty at the time of the award's conception donated the funds to endow the award.